Citizens of Glory presents ‘Birthday of a King’ Christmas Concert. The eight-member band has traveled across the U.S. and is excited to be performing in their hometown area. With family harmony, live instruments, and unique arrangements — be prepared to laugh, cry, and have a great night! Come enjoy this musical celebration of Jesus, the real reason for Christmas. Citizens of Glory is a family band compromising of 8 siblings; Holly, Macy, Justus, Elley, Amy, Lilly, Peter, and Daniel. They formed in 2008 and have been delighting audiences with their music quality, stage presence, and strong message. 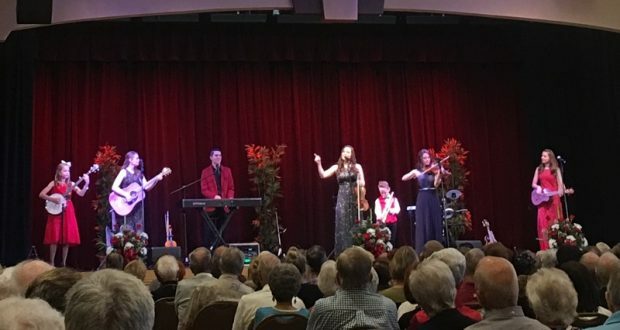 Their music style is Americana/Gospel with original songs and unique arrangements. They released their first album “Everybody Sing Joy” in 2016 and have since released two more studio albums: “One Day” (2017), and “One Step Closer” (2018).